2019 marked the 10th year Volcom has held the prestigious contest at the world-famous Banzai Pipeline on the North Shore of Oahu. The annual event brings together more than 144 of the best surfers from around the globe.  In addition to consistently delivering some of the best barrels and most historic heats on the tour, the Volcom Pipe Pro is one of the most popular and most watched events. Nearly three-quarters of a million people tuned in for the 2018 live webcast. This elite event is also Deep Blue-certified, a certification that sets the standard for sustainability & minimizing environmental impact. In 2016, it was recognized by the WSL as the season’s cleanest, most “Ocean Friendly” event. We take a look back at some of the most exciting, shocking, and downright entertaining moments from the first nine years of the Volcom Pipe Pro. Since 2013, the annual Volcom Pipe Pro surf contest on the North Shore of Oahu, Hawaii, has been designated a Deep Blue Surfing Event. When you purchase any item from this collection, 3% of pre-tax sales will be donated to the Sion Milosky Foundation.